Community leaders speak out against cops in ketamine drugging scandal | Fight Back! 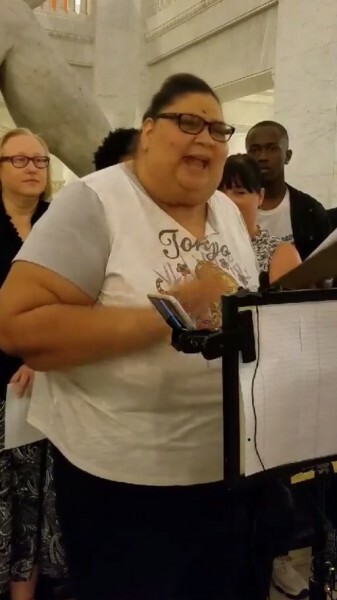 Minneapolis, MN - In response to the ketamine drugging scandal of the Minneapolis Police Department and Hennepin County Emergency Medical Services, community members gathered at City Hall on June 19. Representatives of Black Lives Matter Twin Cities, Twin Cities Coalition for Justice for Jamar (TCC4J), the Racial Justice Network, ACLU of Minnesota and New North addressed the media to demand justice, accountability and reparations for victims. They both, along with other speakers, called for an independent third-party investigation of the scandal, firing of police officers and paramedics involved in abuses, reparations for their victims, and public release of demographic data of those who were sedated with ketamine, including race, gender and geographic locations in which these incidents took place. They urged victims to come forward, and pledged to keep the pressure on.